From what I hear, not all the best cases are made from Aluminum. However, I can’t think of the last case I used for my primary workstation that wasn’t. 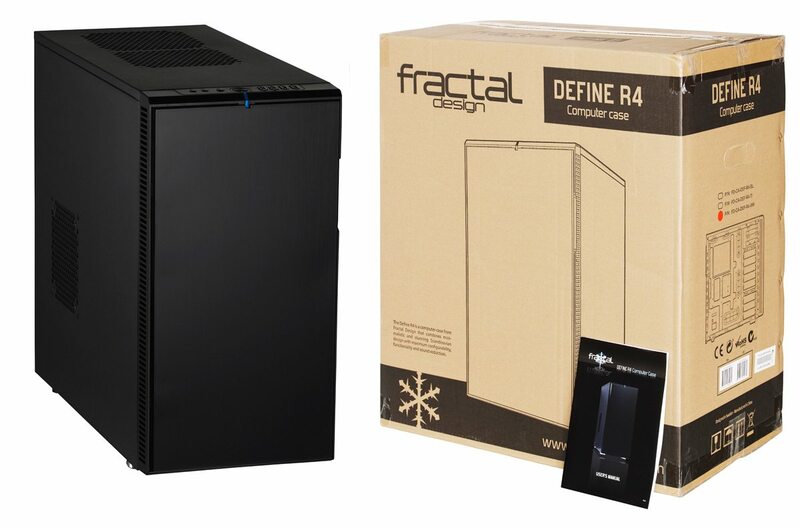 Fractal Design has set out to change all that with the Define R4. This case is sleek, sturdy, and may just be the one to displace my aluminum tradition. The Define R4 is not aiming to nauseate you with crazy designs or bling you to death with chrome accents. Instead, the Define R4 aims to impress you with its elegance and its features. The minimalistic design, fused with sound dampening materials, is Fractal’s recipe for the next generation of computer cases. This case brings a very comfortable array of features to the table. 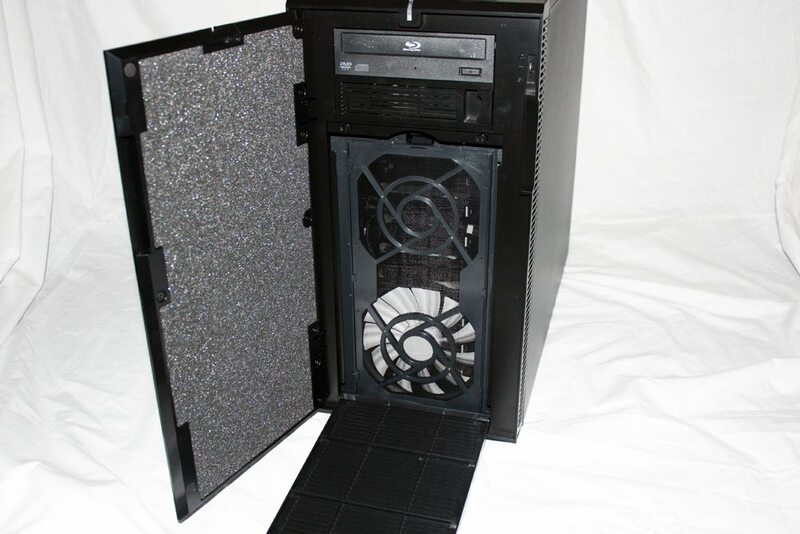 The case is capable of housing eight 3.5″ hard drives in a very clever HDD caddy (with removable trays), room for two 2.5″ drives on the back of the motherboard tray, and exposed 5.25″ bays. The case can accommodate ATX, mATX and Micro ATX Motherboards and sports 2 x USB 3.0, 2 x USB 2.o, and HD audio ports up front. The case comes with two Fractal Design silent series 140mm fans (1000 RPM) pre-installed and has the ability to be fitted with up to five more. 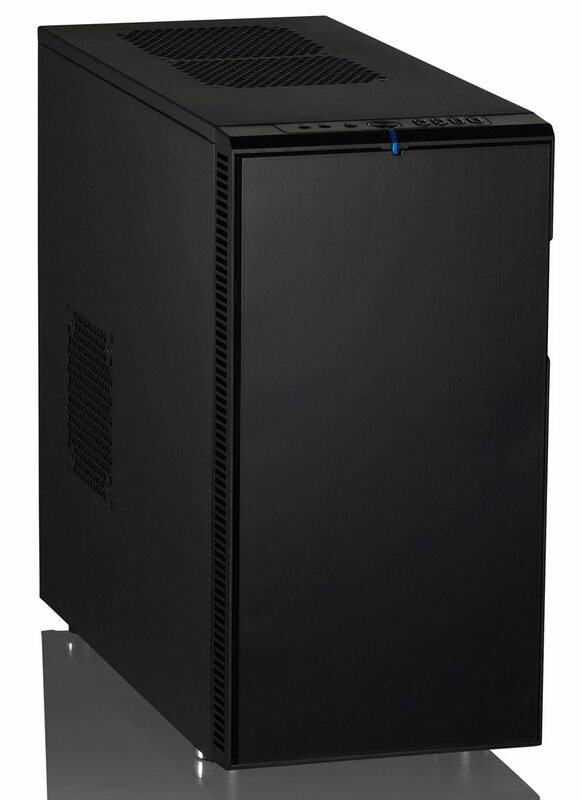 The case can home a CPU cooler up to 170mm tall, an ATX PSU up to 270mm deep, a graphics card up to 295mm in length with the HDD cage installed / 430mm without, and 26mm of space behind the motherboard tray for cable routing. The Define R4 measures 232 x 464 x 523 and weighs in at 27.1 lbs. Out of the box, the Define R4 aims to keep that noise from your computer to a minimum. Each aspect of this case is designed for a reduction in noise. 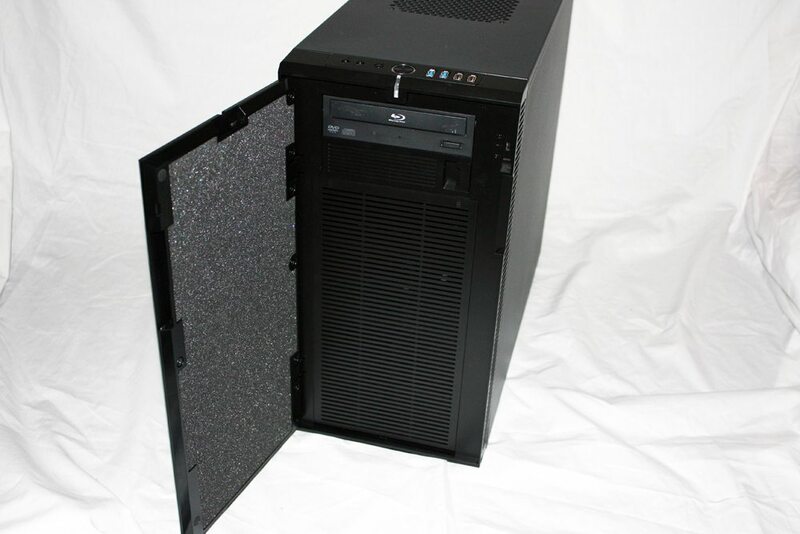 All of the hard drive trays are fitted with rubber grommets to reduce noise due to vibration, the PSU mounts flush with a rubber treatment on the back and sits on top of rubber feet, each side panel is fitted sound absorption material, the optional fan mounts come with pre-installed sound dampening material, and the front of the case is guarded by a door adorned with noise dampening foam. The front of the chassis is simple and elegant. You have your connectivity options on the top front and the door that conceals your two 5.25″ drive bays. Behind that, there is a push to open door that exposes your fan filter and an easily removable fan bracket for quick fan installation or switching. 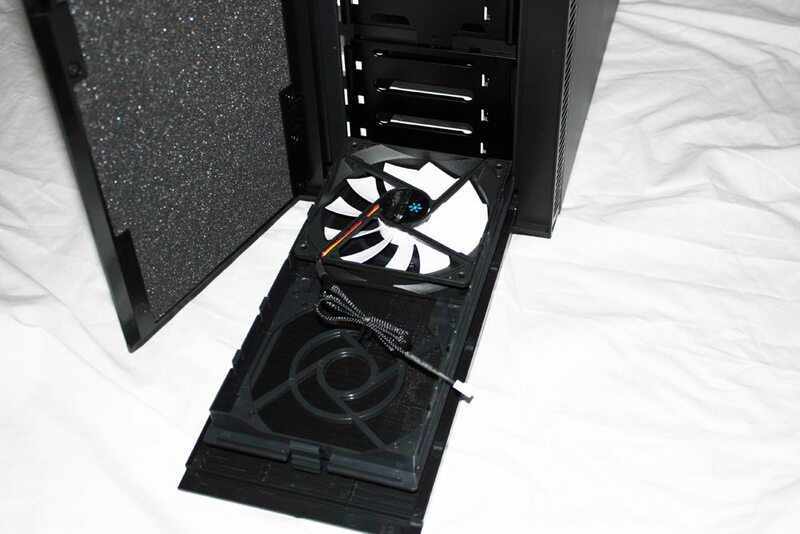 The fan cage is sturdy and placed directly in front of the HDD cage, ensuring that your valuable data stays cool. 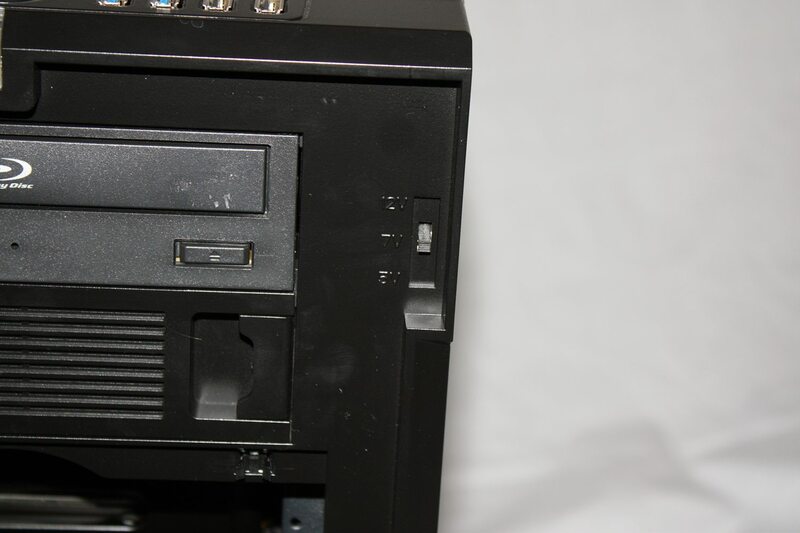 There is also a three speed fan controller mounted up front just to the right of your 5.25″ drive bays. The fan bracket can also home a 240mm radiator without having to modify your case. However, be mindful of the radiator height; something like the Black Ice GT Stealth 280 should work nicely (31.3mm high). My Danger Den radiator was far too tall to fit. Well, I built a new rig in one of these a couple weeks ago. Built-in motherboard standoffs would have been nice (they were a bit awkward to screw in all the way…. ), but other than that very happy with it. Looks subtle, barely audible in a quiet room (with an additional 140mm Fractal Design fan added to the front panel), and plenty of room for a Noctua NH-D14 cooler! Very nice case! I have a much cheaper style one… but they are great!